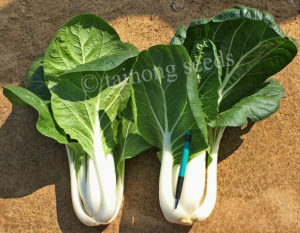 Pak Choi White Stem 小白菜 | Tainong Seeds Inc.
Chinese cabbage (Brassica rapa, subspecies pekinensis and chinensis) can refer to two distinct varieties (see below) of Chinese leaf vegetables used often in Chinese cuisine. 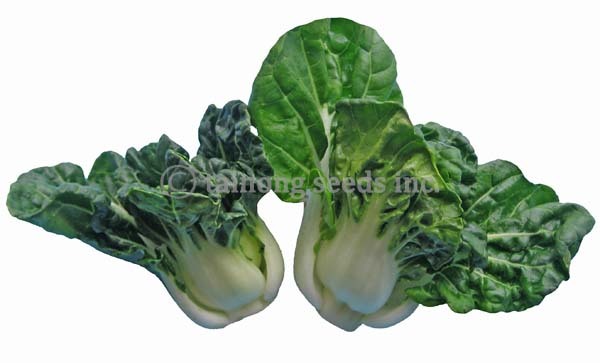 These vegetables are both related to the Western cabbage, and are of the same species as the common turnip. 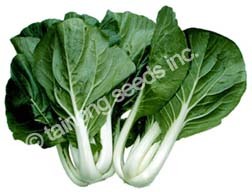 Both have many variations in name, spelling and scientific classification–especially the “bok choy” or chinensis variety. 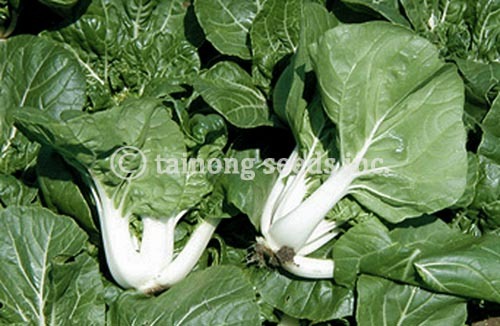 There are many types of Pak Choi / Bok Choy in Chinese cuisine. Below is just a small sampling of the many existing varieties. Please telephone us if you have any questions or have a specific request! 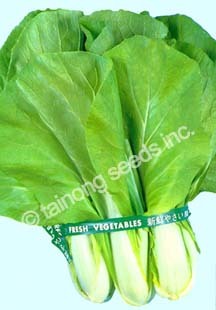 New: High yielding Bok Choy type. 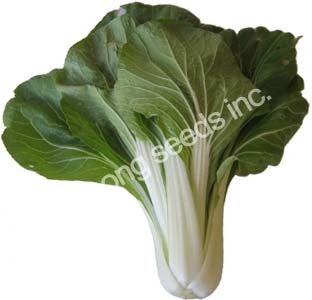 Upright, semi-heading with white petiole & medium green leaves. Ready in ~50 days. Tolerant to high heat. 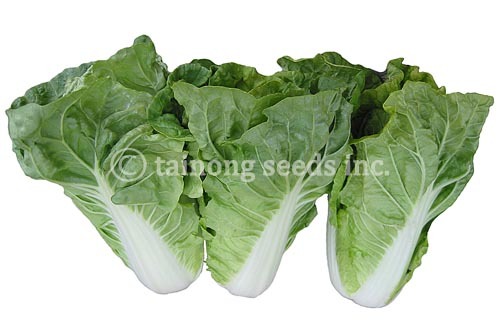 Excellent hybrid variety, compact & tight body, very uniform with dark green, wrinkly leaves and thick white stems. About 4~5 inches tall. High heat & cold tolerance. High Productivity and heavy yields. Very popular stir fry vegetable. Dark green leaves with thick, white petioles. Harvest when approximately 4 ~ 6 inches tall. 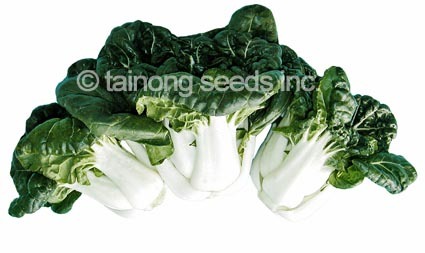 Similar to Dwarf Bok Choy. 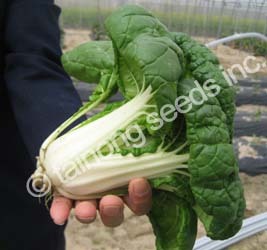 Tall plant with dark green leaves with long, slender, white petioles. Cut plant when approximately 8 ~ 10 inches tall. Medium green leaves and flat, white petioles. Ready in ~35 days after sowing. Large, oval, light green leaves with flat, white petioles. Matures in ~35 days after sowing. Harvest 8 ~ 12 inches tall. Beautiful green outer leaves with white petioles, bright yellow interiors. Good for stir fry & soups. 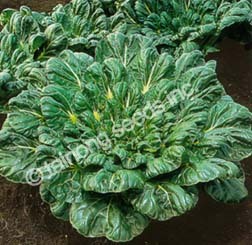 Dark green, thick, spoon-shaped leaves. Compact growth. 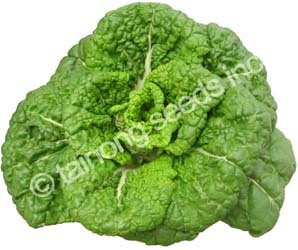 Tender and good flavor, high in vitamins. Bright green leaves with long heavy white petioles. 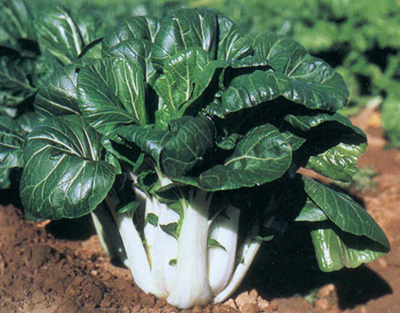 Highly productive popular Chinese vegetable. Strong resistance to heat and cold. Slow bolting and excellent uniformity.